In 1989 the American Fisheries Society added the blue sucker (Cycleptus elongatus) to its list of rare North American fishes rated as Special Concern (Williams et al. 1989). In 1994 the blue sucker was listed by the U. S. Fish and Wildlife Service as a Category 2 species. In 1996, it was upgraded by the State of Montana as a species of special concern Class C to Class B (Chris Hunter 1987). Montana populations appear to be stable and fairly abundant with a healthy size structure. Although the blue sucker populations appear to be healthy and stable, special recognition is warranted because this species may be susceptible to population declines due to its unique biological characteristics (longevity, low recruitment, migratory nature and reliance on high flows in tributary streams for spawning). Montana has some of the finest habitat for blue suckers found in their range and losses of the Montana populations would be significant to the overall gene pool. The blue sucker has a widespread distribution extending throughout the Mississippi, Missouri, Ohio, and portions of the Rio Grande river systems (Elstad and Werdon 1993). In Montana, it is found in the Missouri as far upriver as Morony Dam near Great Falls, and in the Yellowstone upriver of Forsyth, MT (Figure 1). Blue suckers have been found in many of the major tributary streams during their spawning season. There have been very few blue sucker sampled in Fort Peck Reservoir indicating their avoidance of lake environments. Figure 1. Distribution of blue sucker in Montana 1990-97. The blue sucker is adapted for life in swift current areas. This fish prefers swift current areas of large rivers, feeding on insects in cobble areas (Moss et al. 1983). In the spring blue suckers migrate upriver and congregate in fast rocky areas to spawn. Large numbers have been observed migrating up tributary streams to spawn. The Tongue, Marias, Milk and Teton rivers are the tributary streams most heavily used. Blue suckers can live longer than 17 years. Berg (1981) reported that 93% of sampled fish in the upper Missouri were 9-14 years old. Reproductive success may be a problem for this habitat-specific species. Very few young-of-year (YOY) blue suckers have been collected while sampling with a variety of methods. Moreover, the populations are dominated by older fish indicative of minimal recruitment. Blue sucker larvae have been collected from the Milk River, Big Muddy Creek, and in the lower Missouri and Yellowstone rivers (Gardner and Stewart 1987, Penkal 1981). Additionally, young-of-the-year blue suckers have been sampled at the Milk River confluence and in Big Muddy Creek of the lower Missouri River (Liebelt 1996 and Stewart 1980). Blue sucker data records are sparse since most information collected on blue suckers is by-catch data collected in the course of targeting other species. Moreover, because of the blue suckers preference for main channel swift water habitats, they are difficult to sample and consequently have not been sampled in large numbers. Blue sucker sampled in Montana are typically older and large fish with lengths of 60 to 75 centimeters and 3-5 kilograms. In Montana, the most informative data available about blue suckers is length distribution data for the three river reaches where this species is found. The upper Missouri and lower Yellowstone populations have similar size structures with dominant size classes of 65 and 70 cm (Figure 2). The lower Missouri population size classes are generally smaller (Figure 2). To evaluate changes in the populations over the past 10-20 years, length distribution information was compared with past records for the upper and lower Missouri River populations (Figure 2). The size structure of the upper Missouri population was similar for a span of 16 years. However, for the lower Missouri population the 1993-94 sample had a more balanced and desirable size structure with a wider length distribution and better representation of smaller size classes than found in the 1983 sample. The blue sucker appears to be somewhat common in the Missouri and Yellowstone rivers. During 1994, FWP sampled over 300 while attempting to capture pallid sturgeon in the Yellowstone River (Backes et al. 1994). The blue sucker is monogeneric and is not known to hybridize with any other species. Present information describes the species as widespread throughout the USA and in Montana. There are no known blue sucker populations that have been extirpated. However, where extensive riverine losses have occurred due to impoundments, there have been major population losses and blue sucker populations have been fragmented. In Montana, the blue sucker is present in most places that have available habitat. The lower Yellowstone River blue sucker population would probably exist farther upriver if the Cartersville Diversion Dam and other diversion dams on the Yellowstone did not restrict upriver passage. Figure 2. Length-frequency distribution for blue sucker populations sampled by electrofishing and drift netting in the upper and lower Missouri and lower Yellowstone rivers, Montana. Management of the blue sucker consists mainly of routine monitoring of the population status and habitat protection. The blue sucker is considered an indicator species for ecosystem health because of its habitat-specific requirements. Current monitoring information indicates the populations are in stable condition. Efforts towards locating spawning and rearing areas should be continued. Habitat protection includes protecting or promoting the natural spring-time hydrograph. Establishment of more natural seasonal flow conditions are presently being discussed and initiated for three storage reservoirs in Montana. Backes, K. M., W. M.Gardner, D. Scarnecchia, and P. A. Stewart. 1994. Lower Yellowstone River Pallid Sturgeon Study III and Missouri River Pallid Sturgeon Creel Survey. MT Fish Wildlife and Parks. Miles City. 18p. Berg, R. K. 1981. 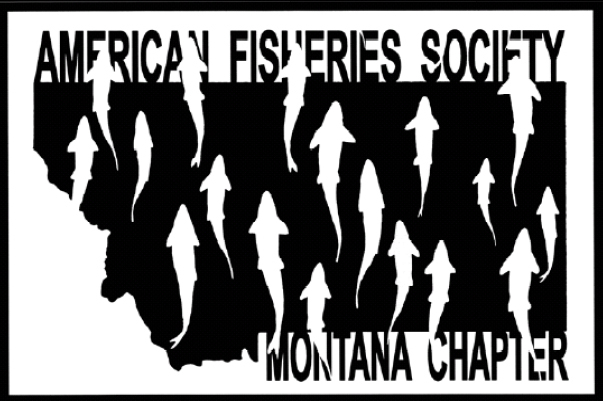 Fish Populations of the Wild and Scenic Missouri River, Montana. Montana Fish Wildlife and Parks. Helena. 242 p.
Elstad, S. A. and S. J. Werdon. 1993. Draft status report on Blue Sucker (Cycleptus elongatus), a candidate endangered or threatened species. U.S.Fish and Wildlife Service. Bismarck, ND. Gardner, W. M. and P. A. Stewart. 1987. The Fishery of the Lower Missouri River, Montana. Montana Fish Wildlife and Parks. Helena. 224p. Gardner, W.M. 1997. Middle Missouri River fisheries evaluations. Mont. Dept. of Fish Wildlife and Parks. Helena. Fed. Aid to Fish and Wildlf. Rest. Proj. F-78-R-3. 34 p.
Liebelt, J. 1996. Lower Missouri River and Yellowstone River pallid sturgeon study. 1994-95 Report. MT Fish Wildlife and Parks. Fort Peck. 57p. Hunter, Chris. 1997. Montana Outdoors. November/December. MT Fish Wildlife and Parks. Helena, MT. Moss, R. E., J. W. Scanlan, and C. S. Anderson. 1983. Observations on the natural history of the blue sucker (Cycleptus elongatus LeSueur) in the Neosho River. The American Midland Naturalist 109(1):15-22. Stewart, P. A. 1980. Lower Missouri River Basin investigations, planning inventory, fisheries. Federal Aid Fish and Wildlife Restoration. Project No. FW-2-R-9 Job Ib. Montana Fish Wildlife and Parks. Williams, J. E., J. E. Johnson, D. A. Hendrickson, S. Contreras-Balderas, J. D. Williams, M. Navarro-Mendoza, D. E. McAllister, and J. E. Deacon. 1989. Fishes of North America endangered, threatened, or of special concern: 1989. Fisheries (Bethesda) 14(6):2-20.